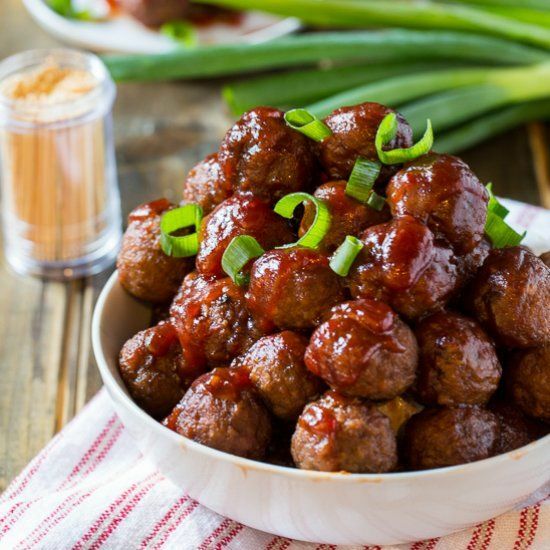 Mix all of the ingredients except the meatballs in your slow cooker. Add in the meatballs and stir to coat them well. Cook on low for 6 hours or on high for 2 hours.